9. Press and hold the selected choice. The siren will emit a long "chirp" to confirm that programming of channel 2 was successful. NOTE: If you can't find a valet switch click here. Please Note: The system can only store up to 4 remotes in it's memory. Your old remotes will be deleted from the system's memory right after a new remote has been programmed. In that case, after programming a new remote you will need to reprogram your existing ones to the system. 1. Open the hood. 2. Put the key in the ignition and turn it to RUN position. 6. Press any button on the new remote control (except the panic button). Note: Parking lights will flash one time once the new remote has been programmed. 7. To program your exisitng/old remotes (up to 4) you will need to start from step 1 to 6. 8. Apply the brake to turn off the programming mode. 9. You may now test all your remotes. NOTE: This system only accepts up to 4 remotes in it's memory. Your old remotes will be deleted from the system's memory once a new remote has been programmed. In that case, after programming a new remote you will need to reprogram your existing ones to the system. 2. Put the key in the ignition and turn it to RUN position. 4. 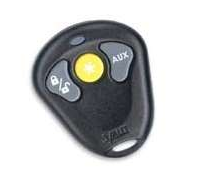 Turn the key in the ignition from RUN to STOP position 3 times within 10 seconds. 5. If you have done the steps right, the system will flash the parking lights. 6. Press any button on the new remote (except the panic button). If you can't find a valet switch click here. When access code of new remote is memorized, the control module will respond with 1 flash of the parking lights.